Det er mye regn om dagen og både dyr og mennesker er ganske lei. Ikke er det bare litt drypp heller, men øs-pøs. Likevel er det innimellom litt sol og alle forter seg ut for å nyte det hele. På bildet har vi puttet inn en liten rose, for Tilt ser virkelig ut som en fandango-danser! We get a lot of rain these days, and not just drissles either but heavy "bucket of water on your head" type of rain. Both people and animals are quite fed up about it. But sometimes we get some sun and everyone hurries outside to enjoy it. Ice Rose is developing quickly and well, and her fleece is fine, curly and dense. Our Corazon have done very well! May have recovered completely from her udder-problem, to the enjoyment of Peach who now gets a lot more milk. Lady Windsong can be seen above peeking over the back of Texas Energizer. She is always where the action is. Huldra is always with us when we go on our little journeys. Above you can see her enjoying herself in the sun while we work on the alpacas. 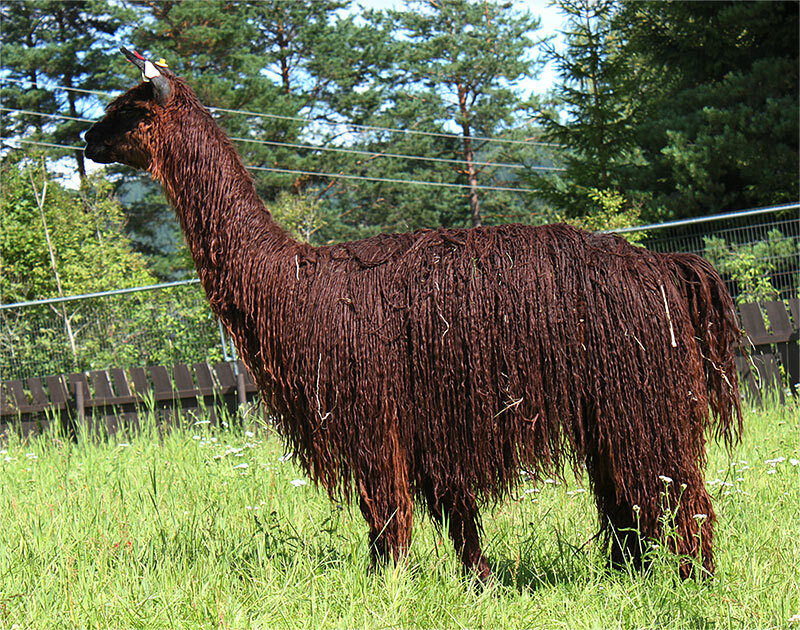 The quarantine is going well, and the alpacas thrive despite the rains. We handle them more and more, letting the alpacas decide on the pace, to make them comfortable around us. Trust is built every day. 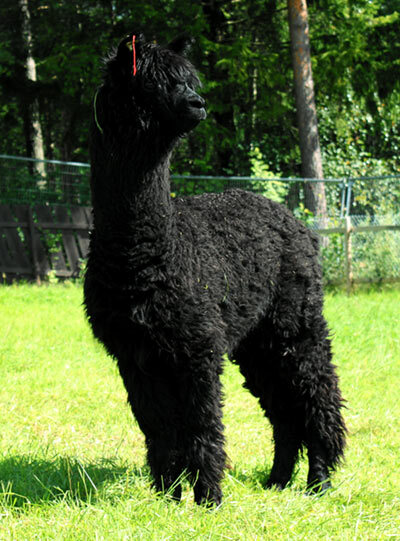 They are great alpacas and a lovely sight in the paddocks. You can see the beautiful suri NC Shivas Dance above. Really, really black girl. Then a picture of the girls in a part of the quarantine paddock. We are so pleased to have an even bigger than usual quarantine area this time. The last two pictures are of our new black male NC Diamond Axe and the suri male NC Tornado. Tornado is the patriarch, but Diamond doesn't always agree.